Alexander Downer, John Howard, Julia Gillard, Bob Carr, Mark Dreyfus, David Irvine, Nick Warner, Woodside Petroleum, Sarah McNaughton, Christian Porter, George Brandis and Margaret Twomey. 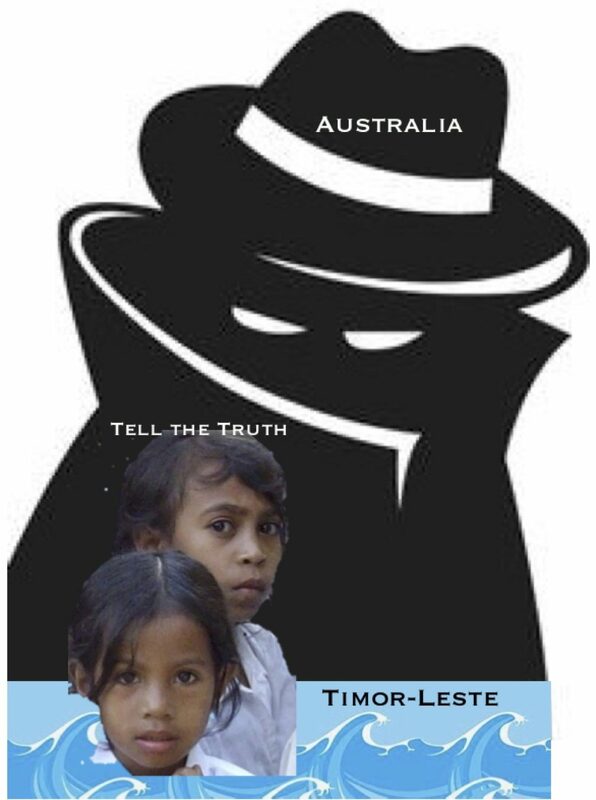 Role in scandal: ordered ASIS to illegally bug the Timor-Leste cabinet, taking resources away from the fight against terrorism in Indonesia to do so. Later took a job with the principal beneficiary of Timor-Leste’s undersea oil and gas reserves, Woodside. Benefit of closed trial: an open trial will shine light on Downer’s decision to use ASIS for the commercial benefit of a company and its impact on ASIS. Should be called as a witness. Role: approved Downer’s decision to redirect resources from the fight against terrorism to looking after Woodside’s commercial interest. Benefit: like Downer, has never been held to account for his actions, or his broader policy of bullying Timor-Leste over its energy resources. Role: responded aggressively to then-prime minister Xanana Gusmao’s attempt to resolve the issue confidentially in 2012, then commenced the pursuit of K and Collaery. Benefit: has flown under the radar, and has never had to explain her handling of Timor-Leste’s attempt to resolve the bugging. A potential witness. Role: foreign minister and joint author of the actual confirmation of the bugging allegations two weeks before the first media coverage. Benefit: like Gillard, Carr’s role in a Labor attempt to protect the Howard government from embarrassment has received little attention. Role: as attorney-general, approved the bugging of Witness K and Bernard Collaery (and jointly authored the May 2013 media release). Benefit: what was the basis on which Dreyfus approved the bugging? Why did he permit the breaching of K and Collaery’s legal privilege? Such questions will remain secret in the event of a closed trial. Role: head of ASIS when the bugging took place, head of ASIO when K and Collaery were bugged and raided. Benefit: Irvine’s dual role makes him potentially one of the biggest beneficiaries of a secret prosecution — though it is understood he did not favour a prosecution. Role: now Director-General of National Intelligence, the ham-fisted Warner was head of ASIS when the K scandal broke and vetoed the return of K’s passport despite ASIO indicating no national security concerns about its return. Benefit: Warner occupies the new position of overarching intelligence bureaucrat and is thus one of the most powerful, but shadowy, people in the country, with virtually no public or parliamentary accountability. Role: the greatest beneficiary of the whole scandal. Has employed DFAT officials as well as Downer and had the late DFAT secretary during the bugging, Ashton Calvert, on its board. Benefit: the more information emerges about not merely the scandal but the conduct of Australia’s regional foreign policy, the clearer it becomes that the commercial interests of Woodside and other resources companies have been a determining factor in Australia’s foreign and security policies. Role: Director of Public Prosecutions. Benefit: serious questions exist about the role of McNaughton, who was handpicked by the Coalition as DPP after her performance at the Trade Union Royal Commission: why McNaughton finally launched the prosecution five years after the events, and why News Corp is mysteriously unmentioned on the charge sheet despite The Australian first revealing the bugging. Role: current Attorney-General, approved prosecution. Benefit: as with McNaughton, there are serious questions about Porter’s actions. Moreover, there is the separate issue of who leaked highly sensitive — perhaps national security — information to News Corp commentator Nikki Sava, so that she could defend the prosecution on Insiders. Role: former attorney-general, signed off on the raid on K and Collaery, threatened Collaery in parliament. Benefit: why did Brandis approve the raids and use parliament to threaten Collaery? What due diligence did he perform in relation to the role of David Irvine? Again, questions that will likely remain out of sight. Role: ambassador to Timor-Leste starting August 2004, covering the period when much of the bugging took place, sent by Gillard back to Dili in 2013 in response to Gusmao’s complaint, thus insulting the Timorese government. Benefit: What did Twomey know about the operation and the Howard government’s wider policy to bully Timor-Leste? Did she raise concerns about it? The answers may well not look too flash on the public record.